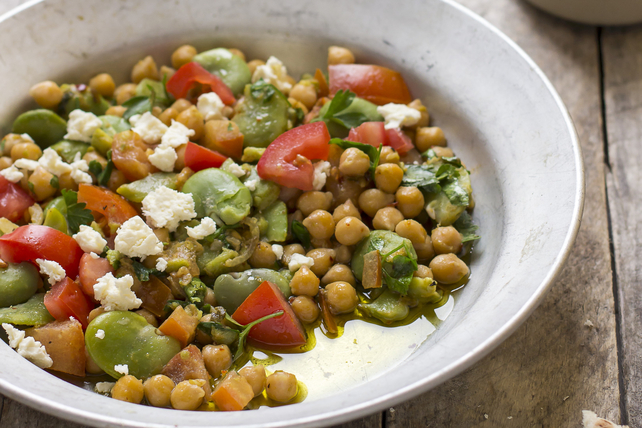 Our Zesty Chickpea Salad with Feta is as easy to make as it is delicious. It's the perfect choice for a potluck, quick dinner side dish or take-to-work lunch. Combine all ingredients except cheese. This flavourful salad can be prepared ahead of time. Refrigerate up to 2 days. Top with cheese just before serving. Substitute fresh basil for the parsley.